We are currently staying in Victor Harbour for a few days. We are camped in the driveway of Shane's Auntie Jean and her hubby John. It's a bit weird being set up in a driveway! 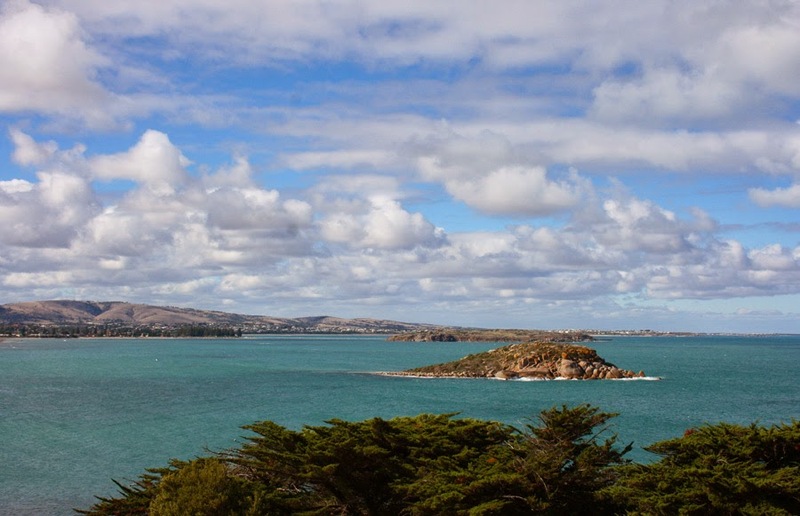 Victor Harbour is a said to be one of South Australia's premium seaside cities. The cities economy is based on agriculture and fisheries, but tourism is possibly the main economy. With an out of holiday season population of around 14,500 it is a very pretty city with lots of beautiful bays. Today we went for a drive to the historic town of Strathalbyn for lunch with Jean and John. 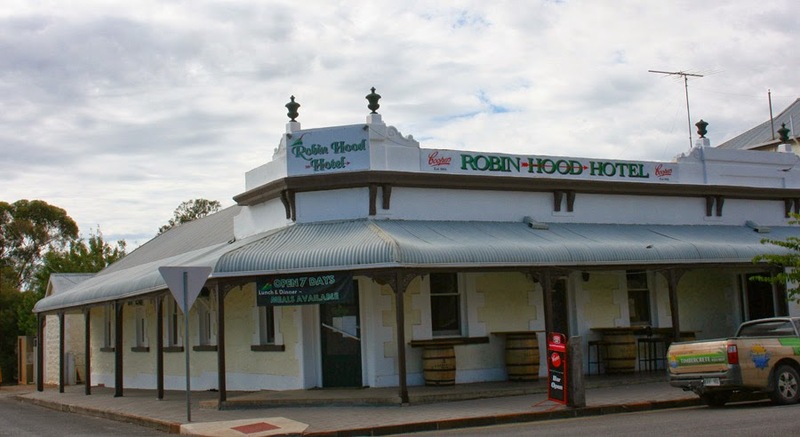 With a population of only around 4,000 Strathalbyn still has four pubs, The Victoria, The Robin Hood, The Terminus and The Commercial. Its funny no matter how small a town is they always have a pub (or two). I won't ever get sick of taking photos of the old buildings. The town is also host to an annual collectors, hobbies and antique fair held on the third weekend of August every year, hence the numerous antique stores in town. 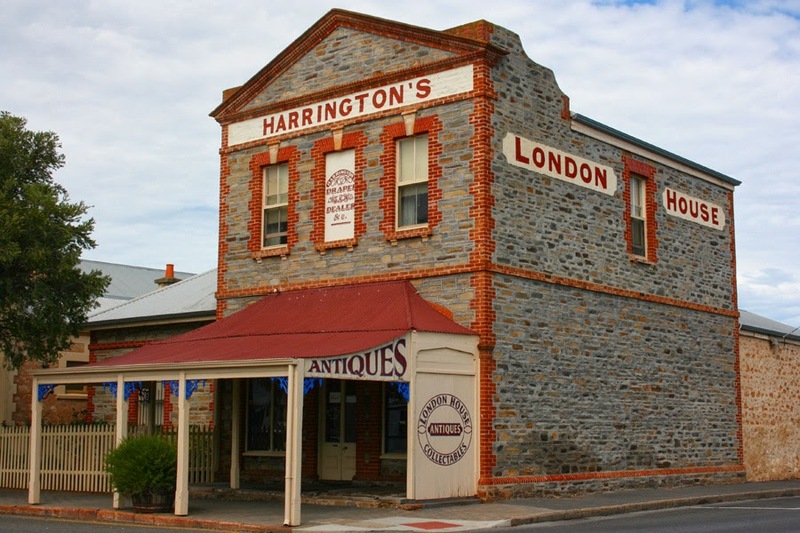 As with most of South Australian towns you also have a collection of beautifully restored historic buildings. 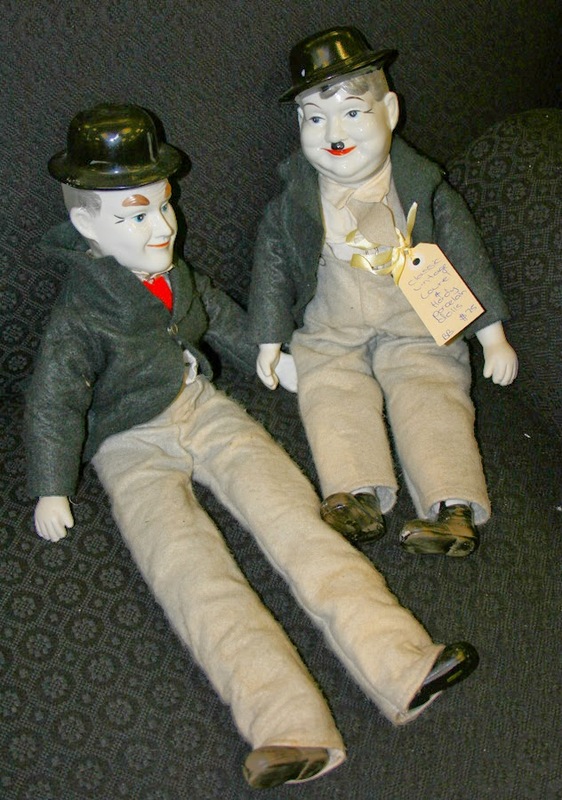 This porcelain Laurel and Hardy set grabbed my attention. But at $75 I left them alone. 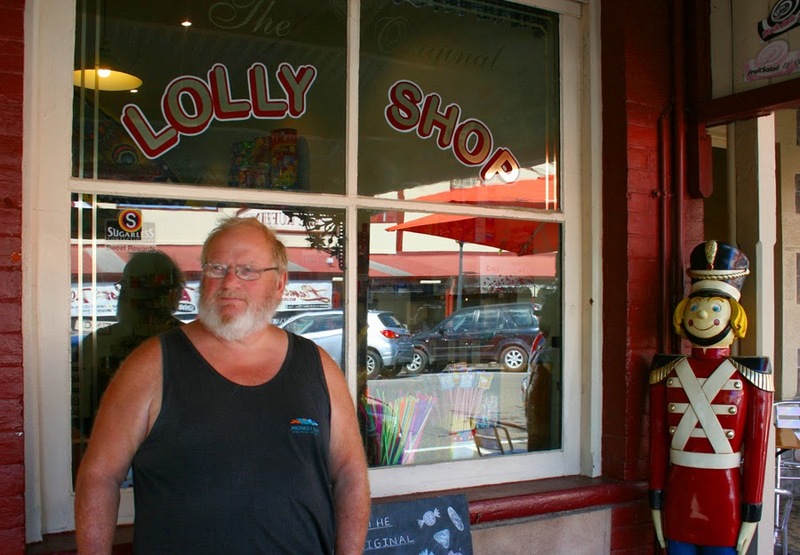 Shane was happy when he found the local Lolly Shop!